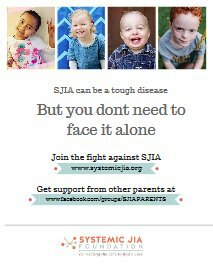 If you are a pare nt / guardian of a child with SJIA, then consider joining the SJIA Facebook group. Its an amazing resource for SJIA Families – a private support community with more than 600 members! 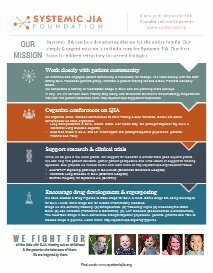 Additionally, the Autoinflammatory Alliance runs a Facebook group for Autoinflammatory patients which is useful for understanding SJIA in the context of other Autoinflammatory diseases. Arthritis Foundation: A large foundation focused on all types of Arthritis. Organizes JA conferences and advocates on behalf of Arthritis patients.